I can’t believe Christmas is three days away!! I haven’t wrapped anything, is that bad? Today my plan of attack is to: 1. Wrap presents, 2. Make cookies, 3. Do the dishes (#foodbloggerproblems), and 4. Spend some quality time with the people I care about. In that spirit, today’s post will be short and sweet. 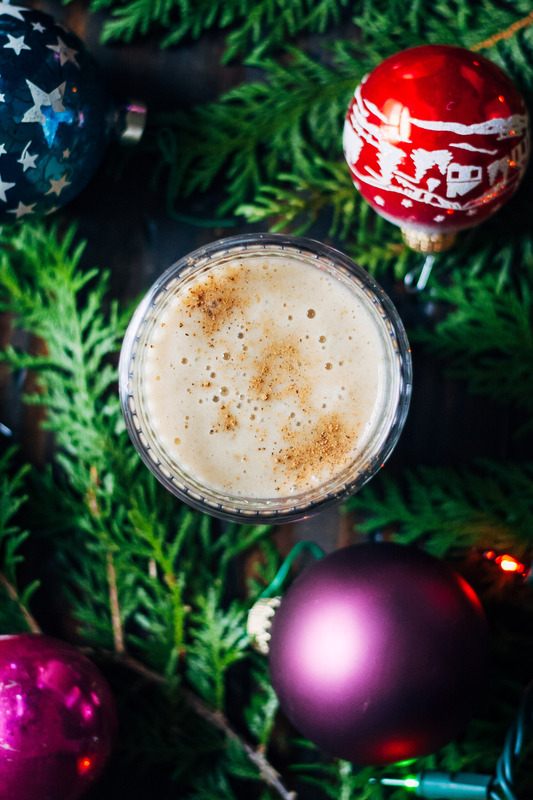 My offering is a raw vegan eggnog that takes minutes to throw together in the blender, but tastes deliciously festive and Christmas-y. 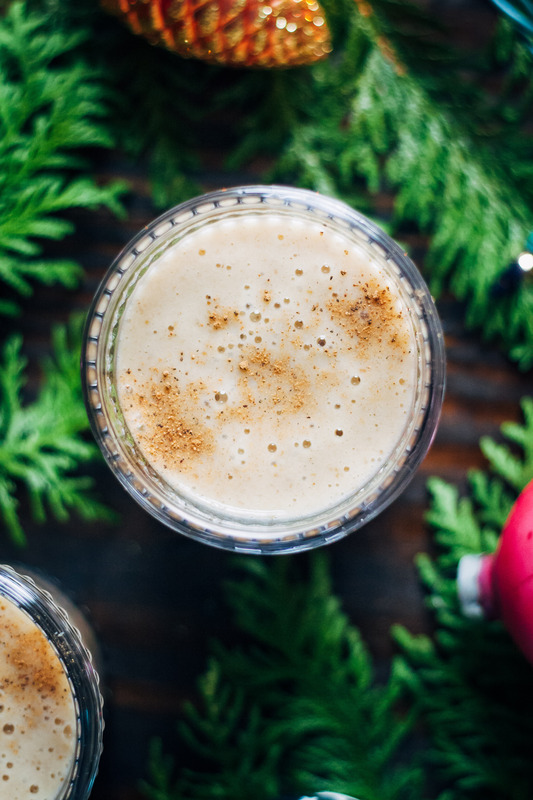 I never used to like eggnog growing up, but I loved this drink. 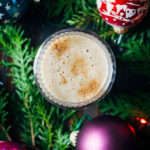 So I hope that all of you nog skeptics will love this too! 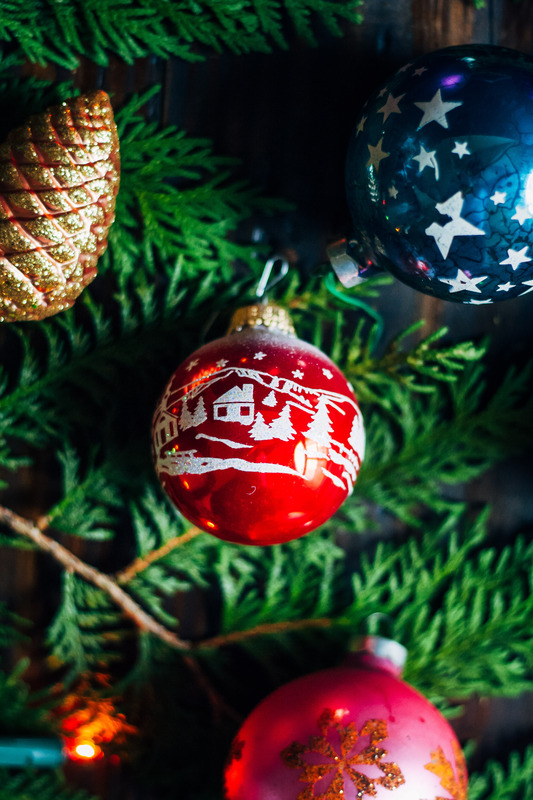 From the bottom of my heart, I hope each and every one of you has a blessed Christmas, and that your hearts are filled with love, joy, and peace this holiday season. God bless! 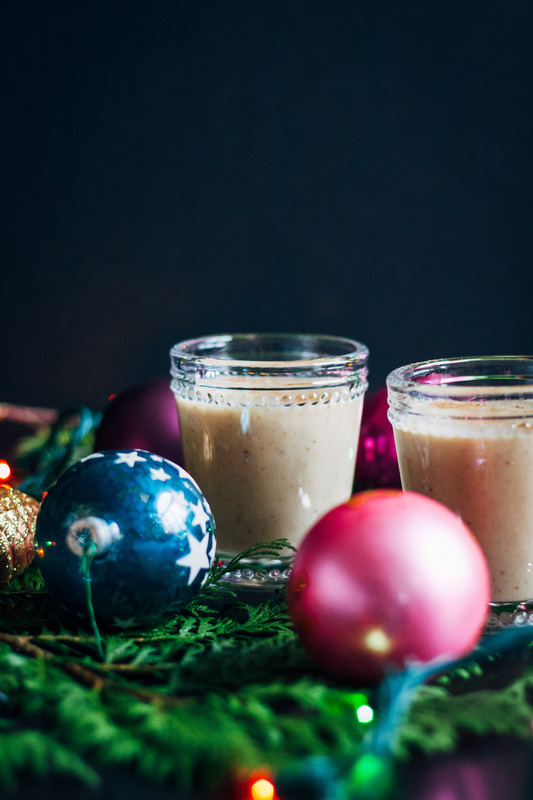 This raw vegan eggnog is a perfectly delicious way to enjoy a healthy version of the winter treat, with a fraction of the calories as the original! Combine all ingredients into a high-speed blender and blend until smooth. Serve in glasses and garnish with nutmeg. 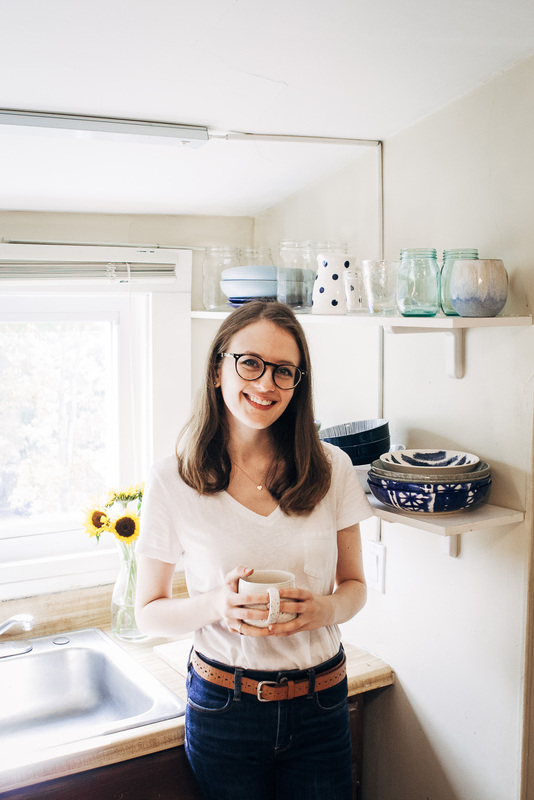 I am loving this last little burst of raw Christmas recipes from you Sarah, perfect for procrastinators like me :D Haven’t wrapped a thing either…that’s what Christmas eve is for, right!? 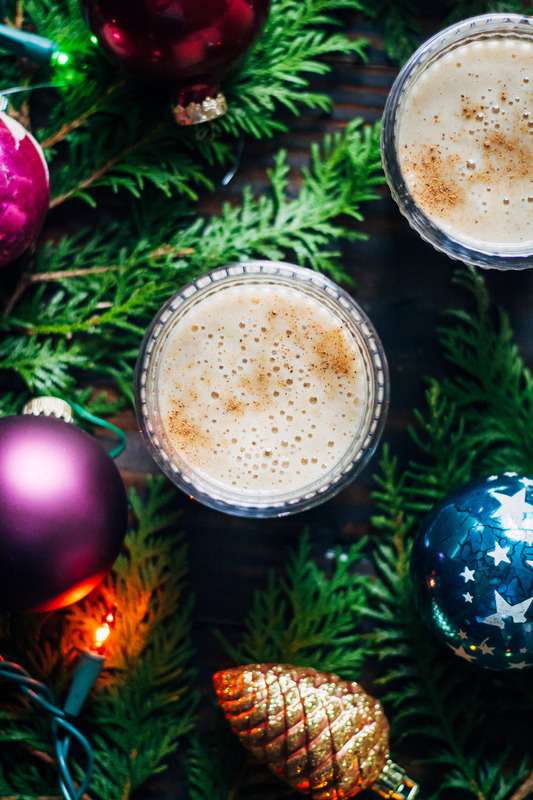 This eggnog looks absolutely addicting – I love that you use ripe bananas to sweeten it and the fact that it’s healthful + raw/vegan. SO perfect for enjoying throughout the winter season! And your PHOTOS! gaaaah they’re so cozy and inviting! Makes me want to wrap up in a blanket next to my tree and sip on alll the eggnogs! We made this in our apothecary tea and smoothie shop for the month of December. It was sooo Aaaaahhhhmazing!!!!! This would taste so good with a little rum or bourbon! …and good on its own, too. ;-) Hope you had a great Christmas this year! Our December went by as a blur, so we are having a re-do the first week of January, and eggnog is on the books. 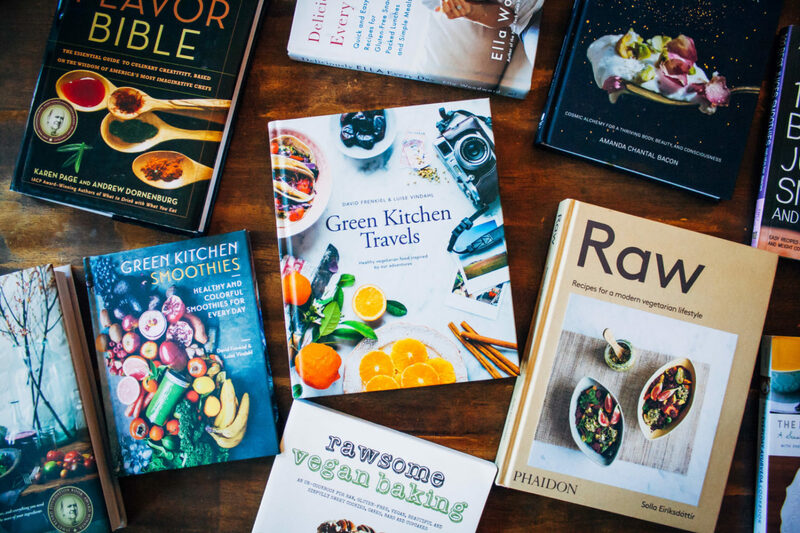 And I’m with Rebecca – vegan is the only way to make it appetizing.